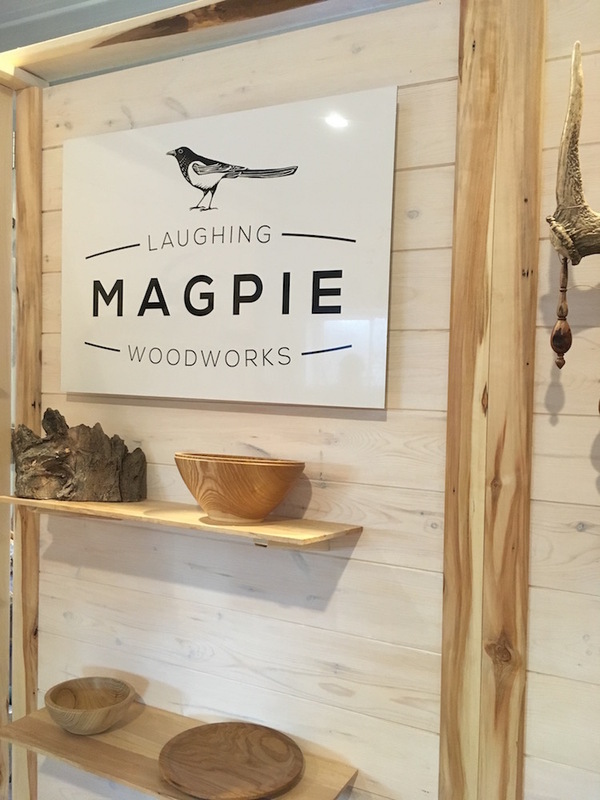 Laughing Magpie Woodworks is Dave Nadlersmith’s wood-turning business. 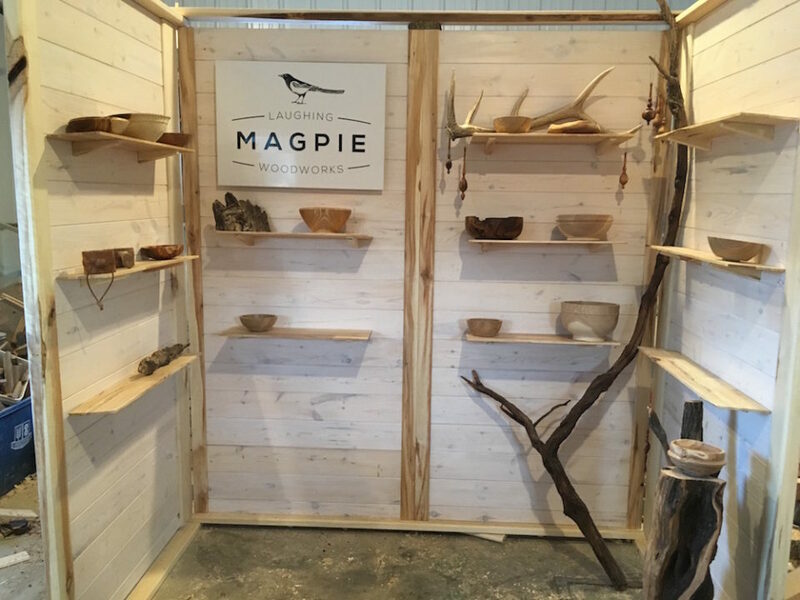 He creates some amazing pieces, you can check him out at his Etsy site. 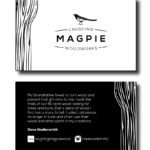 This project included logo design, tags/business cards and some Etsy banners. 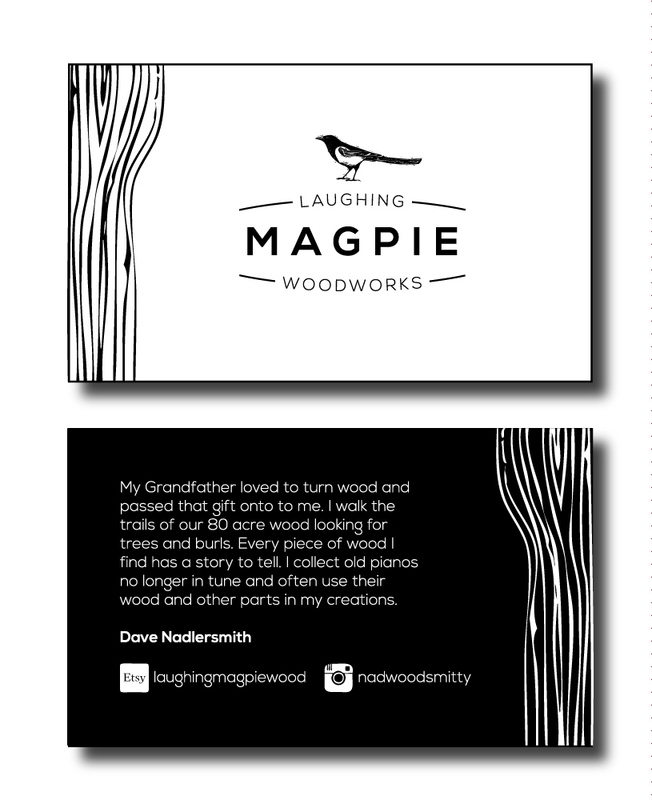 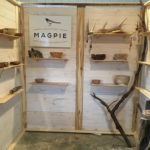 The magpie graphic was created by Claudia McGehee.